John Russell Bennison, 77, of Fremont, OH passed away with his wife by his side on Monday, October 2, 2017 at Firelands Regional Medical Center in Sandusky. He was born March 10, 1940 in Fremont to Russell M. and Annette (Hunt) Bennison. He attended Terra Community College where he received an Associate Degree in Industrial Management in 1979. 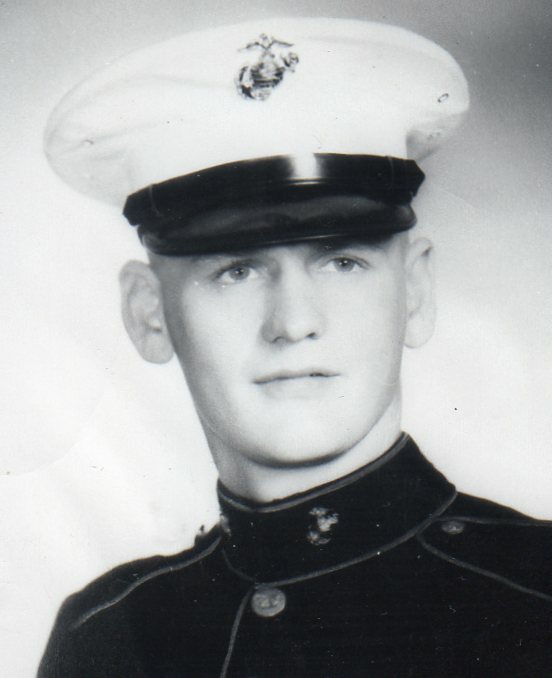 John served in the U.S. Marine Corps during peacetime from October 7, 1957 to October 10, 1960 and was awarded the Good Conduct Medal. He married Mary Myrlleen Hazen on June 17, 1961 at East Side Presbyterian Church and she survives. John worked at Ford Motor Company in Sandusky, OH for thirty-five years and retired in 2002. He was a member of Eastside Presbyterian Church and a Member of the Brainard Masonic Lodge. John enjoyed golfing, camping, traveling and was an avid OSU fan. John is survived by his wife of fifty-six years, Mary Myrlleen Bennison, Fremont, OH; daughter, Karen (Paul) Waltermeyer, Powell, OH; granddaughter, Nicole (Travis) Gee and great granddaughter, Reaghen Gee, Logan, OH; brother, Thomas L. (Marianne) Bennison and sister, Lois E. Magargle both of Fremont, OH and many nieces and nephews. He was preceded in death by his parents and brother-in-law, Wayne Magargle. Memorial Visitation: Saturday, October 21, 2017, from 10:00 to 11:00 am at East Side Presbyterian Church, 1020 Kentucky Avenue, Fremont, OH. Services will begin at 11:00 a.m. at the church with Pastor Ronald Biehl officiating. Burial will take place at McGormley Cemetery, Fremont with military honors provided by the Fremont American Legion and VFW. In lieu of flowers memorials can be made to East Side Presbyterian Church, the American Cancer Society or to Donor’s choice.